We know exactly what it's like. The end of summer is in sight, the nights are slowly beginning to draw in, and there's nothing to look forward to until Christmas rolls around again. Going back to your usual routine after the summer holidays is hard, especially after the endless sunshine we've all been enjoying. To help you adapt to the change of pace brought by Autumn, how about a cheeky break that allows you to savour all the beauty of a vast, starry sky? 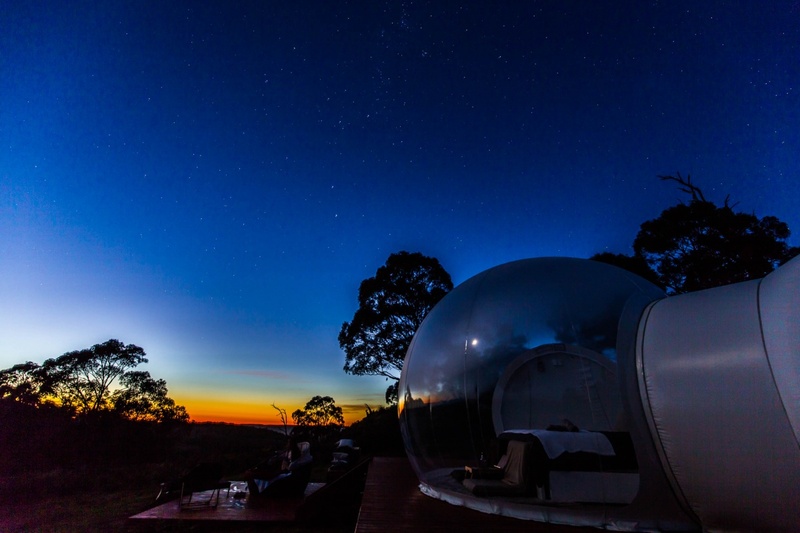 We've got all the best stargazing spots right here, from a glass Icelandic igloo and a celestial stargazing platform in the North Tyne Valley, to an inflatable bubble tent in the Australian outback. Panorama Glass Lodge is first up, a beautiful glass ‘igloo' located 30 minutes from Iceland's capital Reykjavik, secluded in a blissfully remote location by the sea. Staying here is a real ‘bucket list' experience that may also see the famed Northern Lights make their appearance, as you revel in the glorious sensation of floating in the vast star-studded sky overhead. 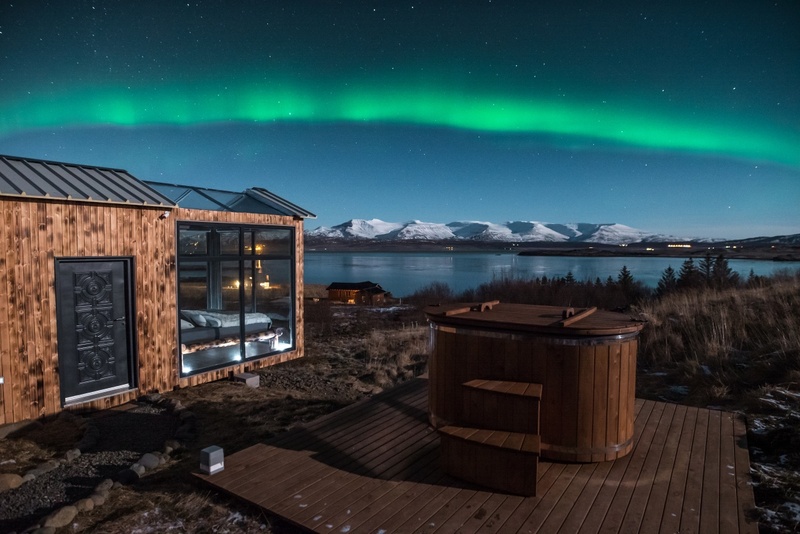 If all that isn't enough, simply pop open a glass of bubbles and soak in the private hot tub, as you watch sunbathing seals and the occasional whale out in the fjord beyond. 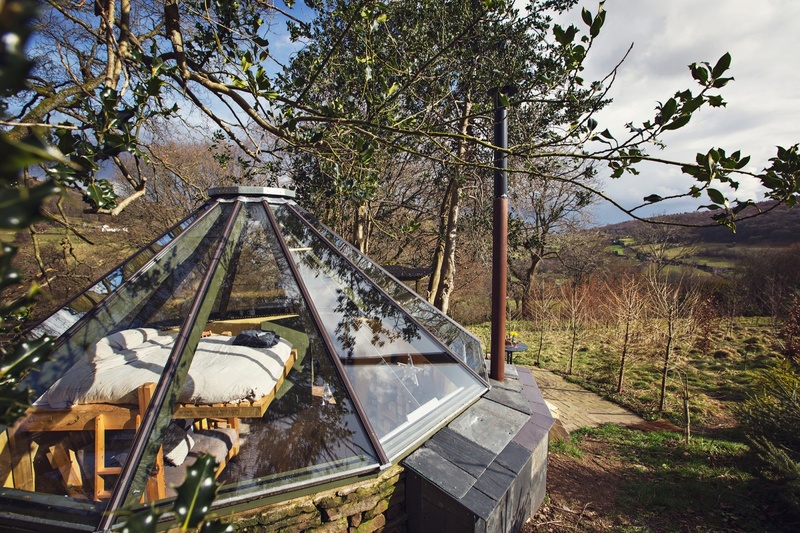 Meanwhile, the Black Mountains of Wales take on a whole new level of beauty when experienced from the Starhouse, a lovingly handmade dome house created from glass panels and local stone. Situated in a private green setting close to the Brecon Beacons National Park, you can switch off from life, light the woodburning stove and luxuriate in the company of your loved one (not to mention the occasional squirrel or owl). Later on, a cosy bed raised on stilts will maximise the star-filled views from the glass roof...what a way to drift off! If heading off into the sunset is more your thing, PurePod Pohue, discovered in the midst of the captivating New Zealand landscape, will be your idea of paradise on Earth. 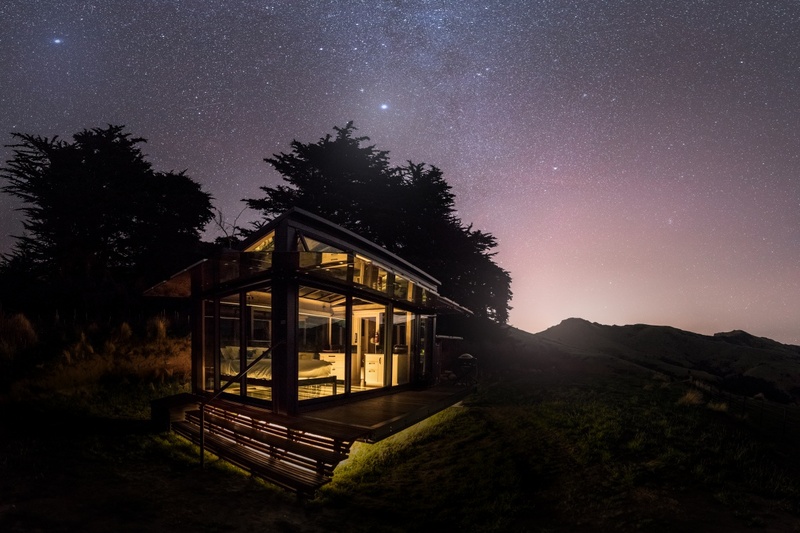 Your all-glass PurePod represents total off-grid relaxation, complete with outstanding views of the historic Port Levy Bay - not to mention the rolling hills, lush foliage and rocky outcrops this beautiful area of New Zealand is famous for. Whatever the weather, exceptional views are guaranteed. As the shining stars make their appearance in the night sky, you're sure to be captivated by your PurePod forever after. Staying in the northern hemisphere for a moment (because the skies here are truly magnificent), you can enjoy a true outback experience with Bubbletent Australia. Tucked away in the paddock of a huge working farm 200km northwest of Sydney, your creature comfort-filled tent overlooks the Capertee Valley - otherwise known as the world's second-biggest canyon. You'll experience unforgettable 360-degree wilderness views from your beautiful bubble tent, and with a completely transparent main compartment, there are endless opportunities for stargazing. How about a more home-grown experience? A Little Bit of Rough is ideal, offering luxurious eco-friendly camping amongst 20 acres of private woodland... in a secret Rutland-based location. With only three lodges available, you can escape from the world in near-seclusion, taking precious time to appreciate the nature that surrounds you. Each lodge is equipped with a large elevated deck that includes a glass balustrade - an ideal vantage point for counting the stars in the night sky And with extensive onsite recycling facilities, plus environmentally-friendly washing and cleaning products, you can enjoy your stay and know you've done your bit for the environment at the same time. 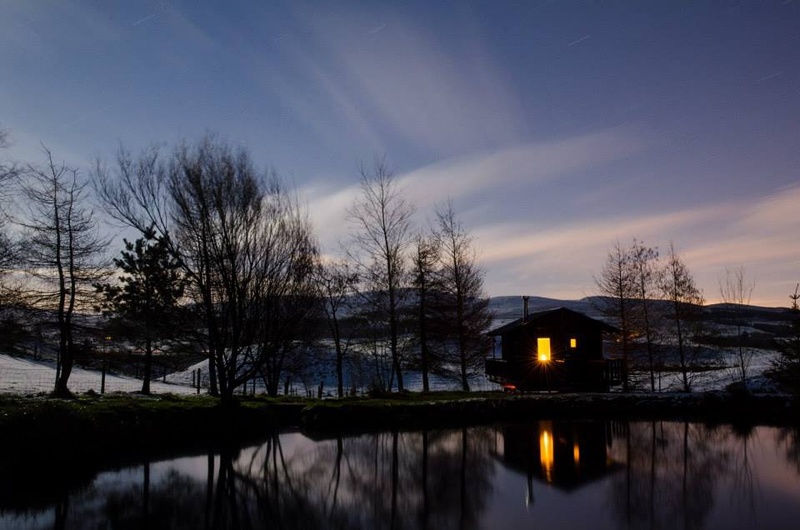 Wye Glamping allows you to reconnect with nature and enjoy breathtaking views in eco-friendly luxury, set against a stunning backdrop of the Brecon Beacons. Here, friendly wildlife, soothing sounds of birdsong and gentle babbling from the nearby stream are all delightfully assured. Choose from a spacious yurt or a cosy selection of bell tents, then snuggle up under a downy duvet, while a wood-burning stove warms your toes - bliss! There are plenty of rugs and cushions scattered around too, for a homely feeling of relaxation. Once you're all settled in, you might want to tune your voice in readiness for campfire songs around the firepit, as you toast marshmallows under the stars. 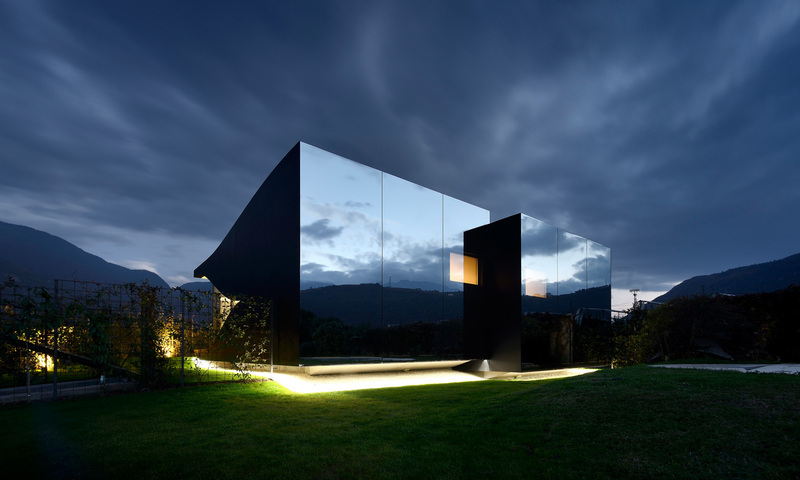 A stylish duo of master-designed holiday homes, The Mirror Houses reflect all the breathtaking natural beauty of Northern Italy, including the Dolomites mountain range. Set within an expansive working apple farm in South Tyrol, the east-oriented houses were designed by a celebrated local architect, and have been featured in Elle, Vogue and The Wall Street Journal amongst many others. Enjoy the finest in design features here, with immaculate black aluminium, UV-treated mirrored panels and curved glass that frames and reflects your stunning surroundings. Sliding wooden panels can be drawn at night, while huge skylights make star-spotting extra-special! At Camp Kátur, you're invited to discover your ‘outdoor happiness', and that's exactly what will happen at this gorgeous glamping village in North Yorkshire! Kátur is Icelandic for "happiness", and with natural accommodation and adventure to suit every age and preference, you'll be well on your way to discovering exactly that. There are plenty of options to choose from, including Woodland Hide - a clear unidome that fuses camping traditions of the past with 21st century design features. Completely transparent, you can enjoy panoramic views of the surrounding woods...and of course, the shining stars overhead! ‘Howf' is the Scottish word for a favourite haunt of family and friends - and once you've visited Craighead Howf, there's little doubt you'd choose anywhere else for star-studded escapism! Discovered in the sensational Perthshire countryside, you can choose from four charming, unique and oh-so-welcoming howfs for an unforgettable Scottish retreat. Wee Howf, a handcrafted log cabin set on stilts, is bursting with character, and with a stargazing window directly under the double bed, twinkling night time views are guaranteed. 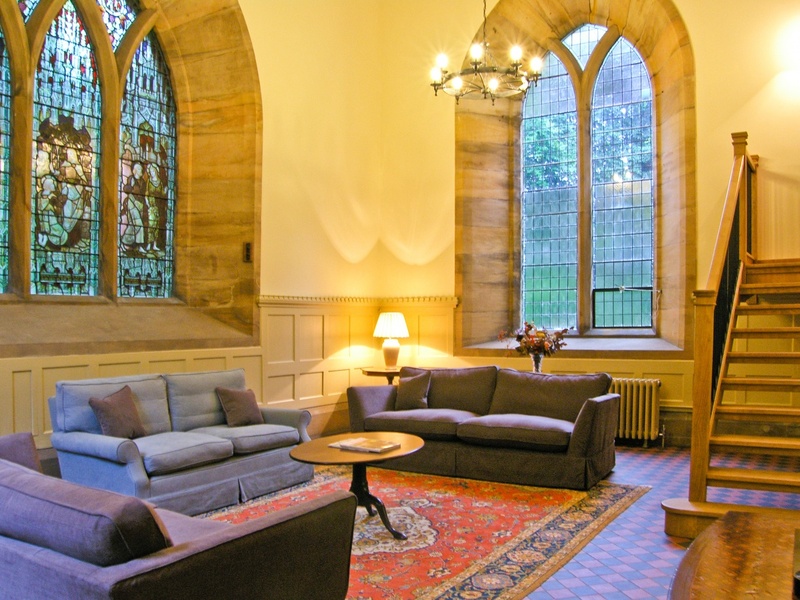 Finally, Greystead Old Church is a celestial conversion in the heavenly heart of the North Tyne Valley, sleeping up to eight people. Infused with authentic Georgian style and contemporary luxury, this is a break that's worthy of a blessing! Many of the original church features have been kept beautifully in tact, such as the Victorian stained-glass window and tiles that inject vibrant bursts of colour. For a special night time treat, you'll find a star-gazing platform near the church garden that's ideally positioned for you to enjoy looking up at the area's famed ‘Dark Skies' in all their panoramic glory. Just don't forget to pack your telescope, for a dazzling view to remember. So which stellar holiday tempted you the most? If we've convinced you to stay amongst the stars this Autumn, you'll find plenty more ‘big sky' holidays to choose from...simply browse through our amazing categories to find your favourite!